“Uh Oh!” Those were the first words out of my mouth on January 7th, 2010, when I booted up Madden NFL 10 and was greeted with Ultimate Team for the first time. Combining Magic The Gathering’s addictive CCG nature with Madden’s brand of football? I knew I was in trouble. Sports games haven’t been the same since. Seven years later it’s the mode I play in Madden. It’s also the mode I play in FIFA, the mode I play in UFC2, the mode I play in NHL, and until…two weeks ago, was the mode I avoided in NBA2k. Why? It felt…lame. 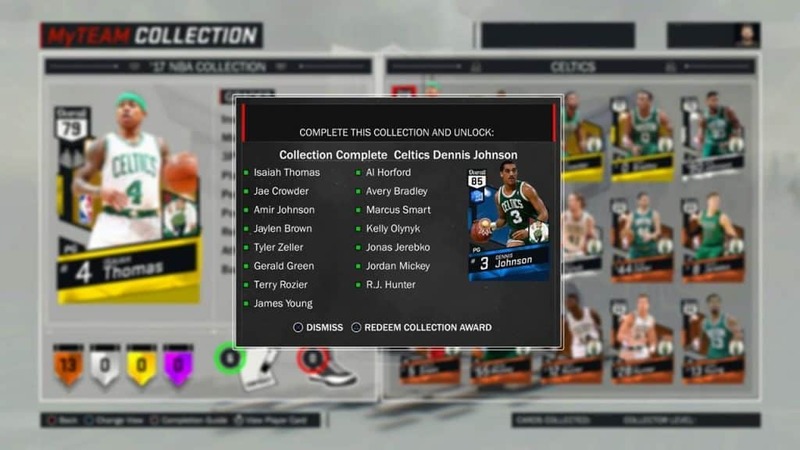 It felt as if NBA2k needed to have MyTeam because Ultimate Team was so popular across EA Sports’ various titles – to the tune of 800 million dollars annually. In previous years 2K’s MyTeam mode felt needlessly complex, and there was a lack of competition; as a new player waiting sometimes several minutes for a matchup, only to get crushed. Toss in a convoluted tier system and lag; and a wonderfully appealing MyGM and MyCareer mode, it was easy to overlook 2K17’s MyTeam. But this year I gave it a shot and perhaps it’s because I got in late, but NBA 2k17’s MyTeam feels right. Lineup management is smooth, as is applying bonuses like shoes and badges. The mode types and single player challenges are easily laid out and self explanatory. Most importantly, there’s very little jank (which burdens Madden Ultimate Team), and the rate at which you earn in-game currency feels fair if not just a bit easy. For the uninformed, 2k17’s MyTeam is a mode that gives you a base roster of mediocre players and challenges you to complete challenges and beat other players in order to earn MT points. Those MT points are then used to buy packs containing new players (and team items like uniforms) to make your team better, so you can then turn around and play better, earn more MT, and repeat the whole intoxicating cycle again and again. And I have, to some success and much fun. After a helpful tutorial introducing me to a few challenges that I completed; and a bonus ‘free agent’ Steph Curry, I took my game online and realized I wasn’t in Kansas anymore. Lag is a weird thing in a game like NBA 2K17’s MyTeam. Online, the game feels a little…slower. Deliberate. You’re being guarded by a real person with real tendencies; and because the game is slower due to the nature of online play, you take a bit more time. On top of that; because you’re playing to win (and only win), you don’t care about stats. You’re not obsessed with feeding your stars the ball, or driving to the hoop as your MyPlayer to earn precious VC. Sure, the better you play the more MT you get, but you get the most – often 500-600 MT from winning. And it adds up quick. Because I’m so late to the game, the MyTeam auction house is bursting at the seams with quality, cheap, players. I landed Josh Johnson, Blake Griffin, and Marcus Smart for around 1500 or so MT a piece. At that rate you can build out a solid team quickly. Which is great because one of the frustrations of Madden is just how often your decent team made up of 90-93 ovrs would come up against a 99ovr team and you’d get absolutely blanked. That’s still a problem in MyTeam, but because there are less players on a team, and good players are cheaper, you’ll find there’s far less of a talent gap – and a lot easier to play up to your competition. Just play good D and don’t chuck up useless threes. Despite being an ‘also ran’ in my mind’s eye, it’s fascinating to see what the 2K team has done to make their version of Ultimate Team appealing. There aren’t 64 types of challenges, four different kinds of ranked play, and (thank God) no salary cap (so far). 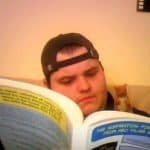 Navigating between menus is a breeze too – there’s very little stuttering or the sensation that the game is collapsing under its own weight; which is sometimes common in Madden when looking through your cards or navigating the auction house. There’s a heavy focus on customization. I faced a team where the floor of the Arena was comprised almost entirely of Kanye West faces. 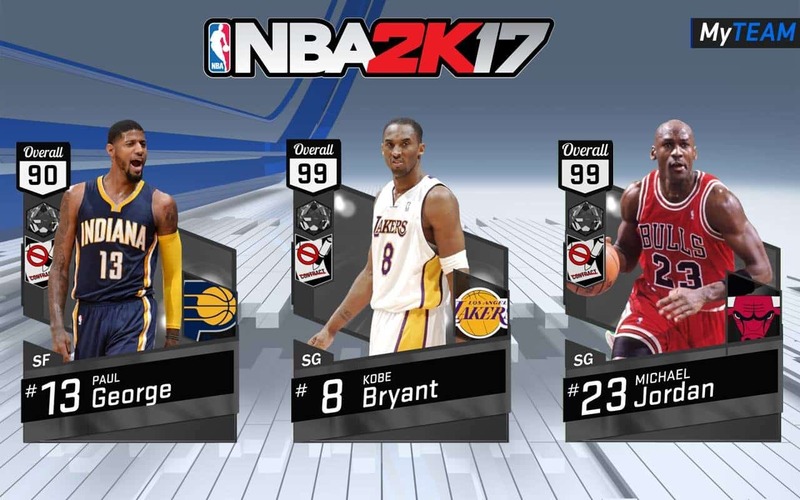 As we wait for Madden 18 to launch with its insane G.O.A.T bonuses, and for more details on NBA 2k18 to emerge, 2k17’s MyTeam is at a point where it’s easy to dive into and have quite a lot of fun with. There’s no time like the present. Literally; players are so cheap they’re gifts. If you’re an Ultimate Team player who avoided 2k17’s MyTeam primarily out of fear of it being a cumbersome, too hard, too time-consuming, and too much of the same, it’s time to check it out. The 2018 edition is just around the corner and you bet your Jimmy Butler player prices won’t be this good, in that game, for a long time. Next articleNascar Heat 2 Trailer Released: 40 Car Online, Split Screen, and Coupons?